My obsession with my weight began when I was 15. Until then, I was thin, ate whatever I wanted, and didn’t have to worry about my weight. When I turned 15, I gained 30 pounds in less than a year as a result of unhealthy eating habits, lack of exercise and a growth spurt. The weight gain came on so suddenly that I wanted to lose it as soon as possible so I could return to my old body. I used laxatives, diet pills and even tried to make myself vomit to drop the pounds, but nothing worked. In college, my unhealthy eating habits continued and I started smoking. My energy was lower than ever and I was exhausted after a day of classes. I didn’t make an effort to improve my health and well-being until I became pregnant with my first child. My doctor told me that I needed to take better care of myself because my baby was counting on me for her health. I gave up smoking cold turkey and started walking on the treadmill at the YMCA. I ate more fruits and vegetables so my baby could benefit from all their nutrients. In the past, I’d skipped eating vegetables since I’d never like their taste. After some experimenting, I found that I enjoyed vegetables much more when they were raw or steamed rather than cooked in other ways. I enjoyed pasta, brown rice, rich and chicken and started eating six small meals a day. Not only did this help me deal with my early pregnancy nausea, but I was never hungry. 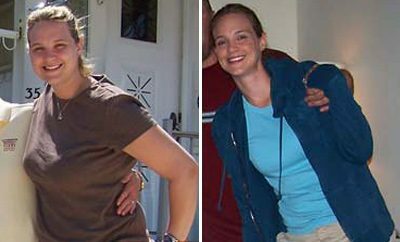 I gained about 30 pounds during my pregnancy and was healthier and fitter than ever before. Most importantly, my daughter was born healthy. After I received my doctor’s approval to start exercising again, I attended a postnatal aerobics class and continued with my healthy habits. I eventually started weight training and was amazed at the changes in my body. As my interest in health and fitness grew, I became a fitness instructor and started teaching pre- and postnatal aerobics at the YMCA. It was perfect for me because I could bring my baby along, so I never had to worry about child care. I lost 1-2 pounds a month for the next year and soon reached my goal of 125 pounds. After I reached my goal weight, I became pregnant again. I continued with my healthful eating and regular exercise program and gained 40 pounds. I didn’t worry about gaining too much weight because I knew I could lose it again with a healthy diet and regular exercise after my baby was born. A year later, I was back to my pre-pregnancy weight. Now that I’m healthy and fit, I’ve opened my own personal training company to help others reach their fitness goals. I teach my clients what I’ve learned through my own experience: Quick fixes don’t work. Just making small changes in eating habits and exercise is enough for lasting results. 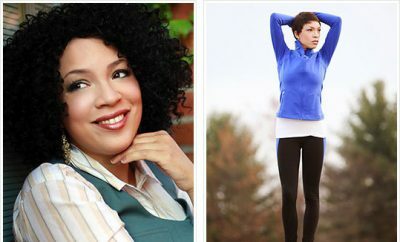 Weight Loss Success Stories: Formerly Sedentary Grandmother Loses 63 Pounds!